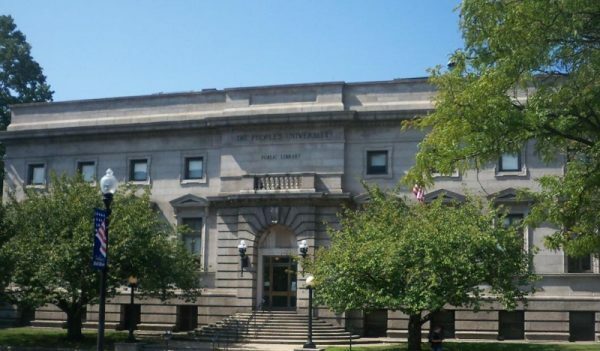 The Fall River Public Library is featuring several activities this week for people of all ages. 9:00 AM – 9:00 PM Halloween Twister Contest! Visit the Children’s Room throughout October and pick up a “Halloween Twister” whenever you check out a library book! If you find a picture of a bat when unraveling your twister, you can choose one of the ghoulishly delightful gifts from the witch’s cauldron! Children ages 12 and under may play once every day when visiting the library. Each story time session will last approximately 45 minutes and will include stories and other activities. Parents are encouraged to arrive on time for the start of the story time. Introduce your child to the exciting world of literacy! ESL tutors meet with students in the Nagle Room from 11:30-12:30 or in the Meeting Room from 12-1, or at other times in the library, by arrangement. If you are a new student, come a few minutes early to sign up, or call ahead: 508-324-2700, ext. 2. Watch history come alive with these fascinating dramatizations of the true stories of the Salem Witch Hysteria. The setting is Salem, Massachusetts in 1692, a year in which, of the approximate 168 men and women accused of practicing witchcraft, 20 were executed. Let’s see how things go in 2018 when the audience members become the jury in the trial of Susannah Martin. They will have the opportunity to question the defendant and form their own opinion as to her guilt or innocence. The cast will open up again to the audience after the performance for a lively discussion. Do you like to knit, crochet, or quilt? Are you interested in joining a crafting club at your library? Join our group that meets on the first and third Wednesday of each month. We are open to all kinds of needle crafting, including knitting, crochet, quilting, cross stitch, or anything you like to do with fiber, fabric, or yarn. Free and open to the public – everyone is welcome! Bring your own needles and yarn or fabric and meet some other needlecraft enthusiasts. Crafters of all skill levels are welcome! Join us in socializing with others in a friendly setting while sharing tips and techniques. You can also showcase and view other crafters’ work! Halloween is coming! Start off the spooky season with a paper plate spider and yarn web to decorate your room with! Fall River Public Library welcomes local author Catherine McLaughlin, who will share stories from her new book Blue Collars, published by Spinner Publications. Blue Collars tells the story of an Irish-American family in a typical working-class neighborhood in New Bedford from the 1950s through the 1970s. McLaughlin, a former English professor at at the University of Massachusetts Dartmouth and Framingham State University, will answer questions about her book. Copies will be available for purchase and signing. This free event is sponsored by the Friends of the Fall River Public Library. This preschool program is designed to allow children and caregivers the opportunity to participate in social and art-based activities that promote family literacy. Activities will include stories, circle time, songs and finger plays. Recommended for children ages 5 and under. Sponsored by the Fall River Public Schools in collaboration with the Department of Early Education. Do you love looking for craft ideas on Pinterest–but sometimes get nervous about attempting a project, only to have a “Pinterest Fail?” Join our new Pinterest club, and get help and tips from other crafters while working in a fun, supportive atmosphere. Our group meets on the first Thursday of the month. Each month, we will try a new project together. Members can suggest ideas for future projects. All materials provided–just come ready to craft! This group is sponsored by the Friends of the Fall River Public Library. Registration is required. Please sign up at the front desk or call the library at 508-324-2700 to ensure we have enough supplies for everyone. The holidays are coming up fast! Crochet? Knit? Macramé? Scrapbook? Beading? — If you are crafting this fall, come hang out with a supportive group of fellow crafters. If you want to learn a new craft, we can help! Bring a small portable project to work on and join us on Saturdays from now until Christmas for encouragement and fun!